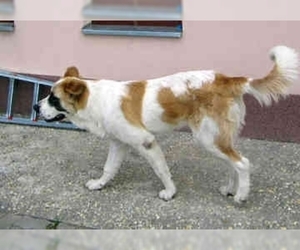 Overview: This dog was originally bred in South Africa with a variety of Mastiff types brought to the country by English settlers. They are strong, loyal and protective of family members. 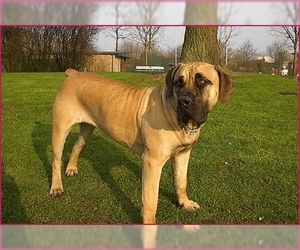 Character: Boerboels are affectionate with family, but suspicious of strangers. 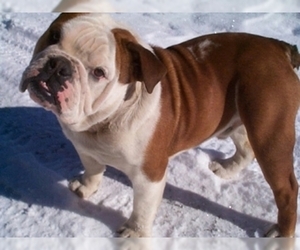 Temperament: The Boerboel is good with children and other pets. They will allow strangers in the house, only if you let them. 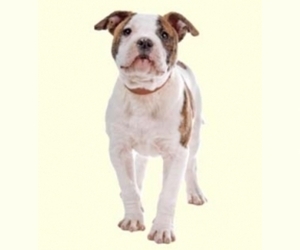 Care: The Boerboel needs a bath about once each month and to be brushed every once in a while. Training: The Boerboel needs training from a young age. 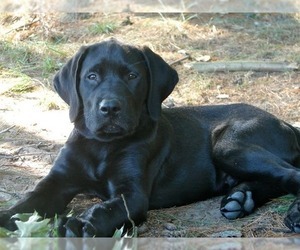 They do well with consistent obedience training and an owner who is not afraid to dominate. 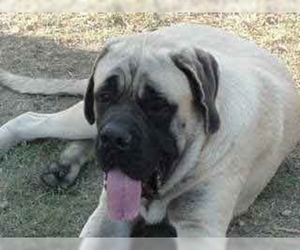 Activity: Boerboels like walks and playing in the yard. They love to play ball with children. They should be walked on a leash. Displaying 21-25 of 35 result(s).